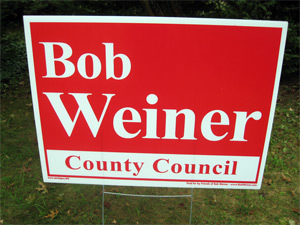 Would you like a Bob Weiner Yard Sign? Our team will deliver a sign to your house a month before the election and pick it up afterwards. Most houses will receive smaller yard signs (photo above). We do have larger signs available. Check the box below if you can host a larger sign.